Does A Tuned BMW M2 Render The M4 Useless? Let's be honest,the M2 lacks a bit of power. Thankfully Dinan is here to remedy that. 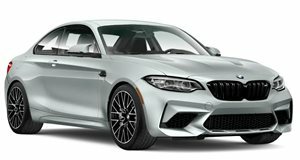 When BMW announced that the M235i (now the M240i) was in the pipeline, enthusiasts could hardly contain their excitement. It would be a brand new BMW, available with the latest that Germany’s finest engineers had to offer, was sized within a hair of the epic E46 3 Series coupe, and featured a similar 3.0-liter inline-six straddled by a turbocharger. There just had to be a catch, right? After all, what sane company would stab one of its most iconic models (the M4) in the back? Well, as expected, BMW did just that, detuning the sixer down to a not so peppy 365 horsepower. The results are still stunning to say the least, but how many M2 owners commit to a midnight red light to red light pull on an empty road and have a small part of them wonders what it would be like with more power? We’d wager that it’s a more than just a handful. Thankfully, BMW tuner Dinan has just the answer as long as long factory warranty’s aren't your thing. Using a revised turbo that's kept healthy by an intercooler, a custom exhaust, a resonator delete, and an upgraded intake, the tuned M2 is boosted up to 446 horsepower and 445 lb-ft of torque, just a bit more than the M4's 425 horsepower. The engine modifications alone cost around $7,000, but this particular model is given a suspension tune and a few other toys, helping it top out at $82,300. As Matt Farah points out, that’s M4 money, but given the added power and smaller package, this still could be the BMW M bargain of the century.